Weber Shandwick won Agency of the Year last time around. NEW YORK: The 2016 edition of the PRWeek Awards opened for entries on Wednesday morning. The awards ceremony will take place on March 17, 2016, in New York City. Barry Caldwell, SVP of corporate affairs and chief legal officer of Waste Management, is serving as chair of judges for the 16th edition of the awards ceremony in the US. "The PRWeek Awards represent an honor we all cherish, namely the recognition by your peers of being the absolute best of the best," said Caldwell. 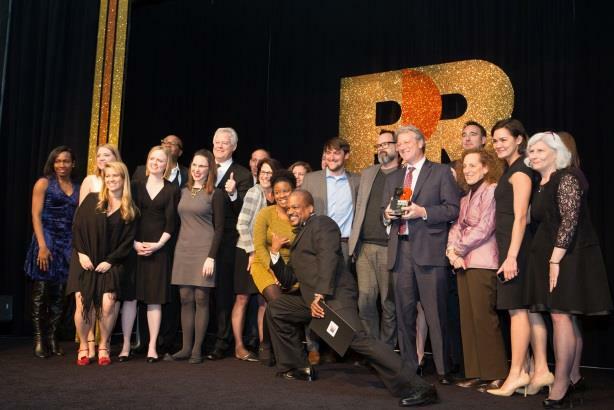 The deadline for entries for the 2016 PRWeek Awards is Friday, October 9. Like last year, the entry process takes place entirely online. Both the submission and judging process will be carried out digitally; entries can be filled out using the online kit available at awards.prweekus.com. "No doubt, there’ve been many creative, effective, and value-driving campaigns over this past year worthy of the highest recognition in the industry," Caldwell added. "Please take a moment to enter them. Your organization deserves the opportunity to achieve this high honor – and we all benefit from learning of your company’s success." At last year’s PRWeek Awards, Always and MSLGroup won the top campaign award for the #LikeAGirl campaign, which aimed to turn the insult "like a girl" into a confidence movement. Univision’s Monica Talan and MWW CEO Michael Kempner won the PR Professional of the Year awards for the client and agency sides, respectively. Agency of the Year went to Weber Shandwick, which also won Large Agency of the Year. Allison+Partners, Singer Associates, and Praytell Strategy won the midsize, small, and boutique awards.